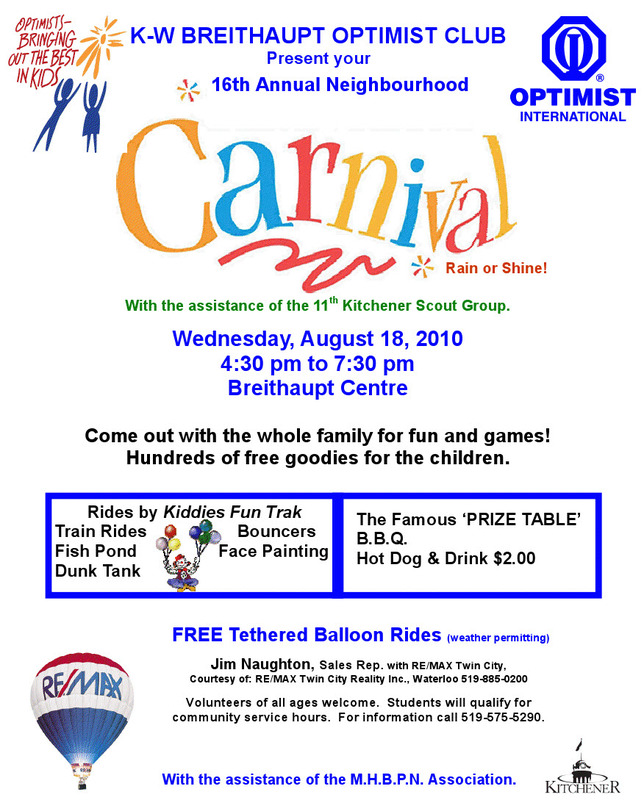 This is the 16th annual carnival run by the K-W Breithaupt Optimist’s Club. It is in our Blog’s calendar so you don’t forget and now here is a poster which details all the fun events they have planned. Come out and support the Optimists and the good work they do for our neighbourhood.